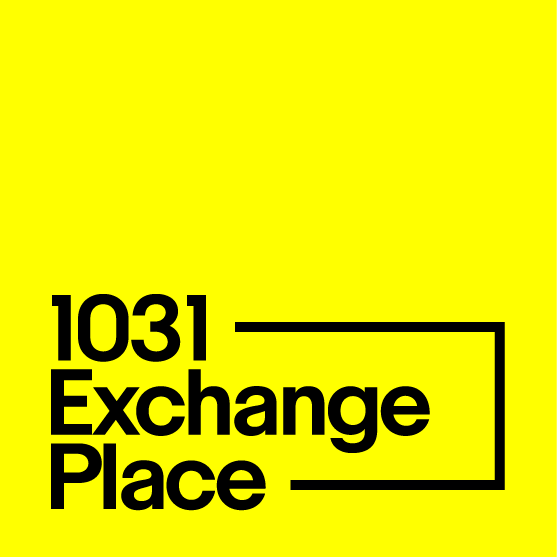 We understand there may be a lot of unfamiliar terms used in discussing 1031 exchanges and replacement property; so we’ve compiled some of the most common. It’s very important to us that we make this process as easy as possible, so PLEASE make sure to let us know if you need further explanation or you ever have questions. Accommodator is another name for a Qualified Intermediary. The amount you use to determine your capital gain or loss from a sale or disposition of property. To determine the adjusted cost basis for your property, you must start with the original purchase cost. You then add any out-of-pocket expenses such as brokerage commissions, escrow costs, title insurance premiums, and other closing costs directly related to the acquisition , your cost of capital improvements and principal payments of special assessments (sewer and streets) to the property, and then subtract depreciation you have taken or were allowed to take, any casualty losses taken and/or any demolition losses taken. A balanced exchange ensures that the taxpayer defers 100% of his or her taxes on capital gain and depreciation recapture. To achieve a balanced exchange 1) acquire a replacement property that is equal to or greater value than the relinquished property; 2) reinvest all of the net equity from the relinquished property in the replacement property; and 3) assume debt on the replacement property that is equal to or greater than the debt on the replacement property or contribute cash to make up the deficiency. A tax-deferred, like-kind exchange whereby the Qualified Intermediary and/or Exchange Accommodation Titleholder (EAT) acquires title and holds title to the replacement property on behalf of the Exchangor, during which time structures or improvements are constructed or installed on or within the replacement property. Also known as an Improvement Exchange. Boot is something received by the taxpayer in the exchange which is not like-kind to the relinquished property. Boot is characterized as either “cash” boot or “mortgage” boot. Realized Gain is recognized to the extent of net boot received. Tax levied by Federal and state governments on investments that are held for one year or more. Investments may include real estate, stocks, bonds, collectibles and tangible depreciable personal property. Co-tenancy is a concept in property law, particularly derived from the common law of real property, which describes the various ways in which property can be owned by more than one person at a given time. If more than one person own the same property, they are referred to as co-owners, co-tenants or joint tenants. 1. Each owner has an unrestricted right of access to the property. 2. Each owner has a right to an accounting of profits made from the property. If the property generates income (such as rent) or a tax credit (such as depreciation), each owner is entitled to a pro-rata share of that income. Periodic wearing away of property over the property’s economic life. The I.R.S. requires investors and business owners to take a tax deduction on the amount of a property’s depreciation. The practice of amortizing or spreading the cost of depreciable property over a specified period of time, usually its estimated depreciable life. To put it another way, you are allowed a deduction on your income tax return for the wearing away and expensing over time of property or assets, such as aircraft, vehicles, livestock and buildings. A depreciable asset is a capital expenditure in depreciable property; used in a trade or business or held for the production of income and has a definite useful life of more than one year. Non-depreciable property includes vacant land. For assets that have an expected useful life of more than one year, you spread the cost of the asset over its estimated useful life rather than deducting the entire cost in the year you place the asset in service. The tax code (law) specifies the depreciation period for specific types of assets. The amount of gain resulting from the disposition of property that represents the recovery of depreciation expense that has been previously deducted on the Taxpayers income tax returns. The sale or disposition of real estate or personal property (relinquished property) and the acquisition of like-kind real estate or personal property (replacement property) structured as a tax-deferred, like-kind exchange transaction pursuant to Section 1031 of the Internal Revenue Code and Section 1.1031 of the Treasury Regulations in order to defer Federal, and in most cases state, capital gain and depreciation recapture taxes. See 1031 Exchange. An unrelated party (qualified intermediary) that holds the title of either the replacement or relinquished property in order to facilitate a reverse exchange or construction exchange pursuant to Revenue Procedure 2000-37. The owner of the investment property looking to make a tax deferred exchange. The taxpayer who is completing the tax-deferred, like-kind exchange transaction. An exchangor may be an individual, partnership, LLC, corporation, institution or business. The rules for like-kind exchanges do not apply to property held for personal use (such as homes, boats or cars); cash; stock in trade or other property held primarily for sale (such as inventories, raw materials and real estate held by dealers); stocks, bonds, notes or other securities or evidences of indebtedness (such as accounts receivable); partnership interests; certificates of trust or beneficial interest. An undivided fractional interest or partial interest in property. See also Tenant-In-Common Interest. The time period that begins upon the close-of-escrow of the relinquished property. During this 45-day period, the exchangor must identify the replacement property in order to continue with the section 1031 exchange transaction. The period is 45 calendar days from the transfer of the exchangor’s relinquished property and is not extended due to holidays or weekends. The form used to remove previously identified replacement property(ies) within the identification period of 45 days. The exchangor may change the properties identified at any time and as many times as desired during the 45-day identification period, but may not change the identified properties after the 45-day time period. Three Property Rule – The Exchangor may identify up to three properties, without regard to their value. 200% Percent Rule – The Exchangor may identify more than three properties, provided their combined fair market value does not exceed 200% of value of the relinquished property. 95% Percent Rule – The exchanger may identify any number of properties, without regard to their value, provided the exchanger acquires 95% of the fair market value of the properties identified. See Construction Exchange or Build-To-Suit exchange. An Identification Statement form is used to identify potential replacement property(ies) within the 45-day identification period. An unrelated party who participates in the tax-deferred, like-kind exchange to facilitate the disposition of the exchangor’s relinquished property and the acquisition of the exchangor’s replacement property. The Intermediary has no economic interest except for any compensation (exchange fee) it may receive for acting as an Intermediary in facilitating the exchange as defined in Section 1031 of the Internal Revenue Code. The Intermediary is technically referred to as the Qualified Intermediary (QI), but is also known as the accommodator or facilitator. The properties involved in a tax deferred exchange must be similar in nature or characteristics. Like-kind real estate property is basically any real estate that isn’t your personal residence or a second home. Property that is exchangeable with another property. Refers to the nature or character of the property and not to its grade or quality. Personal Property is any property belonging to the Exchangor that is not real estate. The “Like Kind” Rules are more restrictive on personal property exchanges. For example: You can exchange a 4 engine airplane for a 4 engine airplane but not for a 2 engine airplane. You can exchange a painting for a painting, but not for a piece of sculpture, even though both are considered pieces of art. See Personal Property Exchange. When an exchange entails a combination of boot with partial success of the exchange. When an exchangor receives some cash from an exchange, excluded property and/or non-like-kind property and/or any net reduction in debt (mortgage relief) on the replacement property as well as an exchange of qualified, like-kind property. In the case of a partial exchange, tax liability would be incurred on the non-qualifying portion and capital gain deferred on the qualifying portion under Section 1031. Any property belonging to the exchangor that is non-real estate related. A tax-deferred transfer of personal property (relinquished property) for other personal property (replacement property) that are of like-kind or like-class to each other. See Like-Kind Personal Property. Exclusion from capital gain tax on the sale of principal residence of $250,000 for individual taxpayers and $500,000 for couples, filing jointly, under IRS Section 121. Property must have been the principal residence of the taxpayer(s) 24 months out of the last 60 months. In the case of a dual use property, such as ranch, retail store, duplex or triplex, the taxpayer can defer taxes on the portion of the property used for business or investment under Code Section 1031 and exclude capital gain on the portion used as the primary residence under Section 121. Both the relinquished property and replacement property must be held for productive use in a trade or business or for investment. Property acquired for immediate resale will not qualify. The taxpayer’s personal residence will not qualify. An escrow account, wherein the escrow agent (QI) is not the exchangor or a disqualified person and that limits the Exchangors rights to receive, pledge, borrow or otherwise obtain the benefits of the tax-deferred, like-kind exchange cash balance and/or other assets from the sale of the relinquished property in compliance with the Treasury Regulations. The Qualified Escrow Account also ensures that the exchangor’s exchange funds and/or assets are held as fiduciary funds and are therefore protected against claims from potential creditors of the Qualified Intermediary. • Acting under a written agreement with the taxpayer, the QI acquires the relinquished property and transfers it to the buyer. • The QI holds the sales proceeds, to prevent the taxpayer from having actual or constructive receipt of the funds. • Finally, the QI acquires the replacement property and transfers it to the taxpayer to complete the exchange within the appropriate time limits. An exchangor must intend to use the property in their trade or business, to hold the property for investment or to hold the property for income production in order to satisfy the qualified use test. Real property: land and buildings (improvements), including but not limited to homes, apartment buildings, shopping centers, commercial buildings, factories, condominiums, leases of 30-years or more, quarries and oil fields. All types of real property are exchangeable for all other types of real property. In general, state law determines what constitutes real property. Certain types of property are specifically excluded from Section 1031 treatment. In general, if property is not specifically excluded, it can qualify for tax-deferred treatment. Realized gain is the increase in the taxpayer’s economic position as a result of the exchange. In a sale, tax is paid on the realized gain. Recognized gain is the taxable gain. Recognized gain is the lesser of realized gain or the net boot received. Exchange of real property for real property. All types of real property are like-kind for other real property, including agricultural land, residential, commercial, and even long term leases. The property to be sold or disposed of by the exchangor in the tax-deferred, like-kind exchange transaction. The original property being sold by the taxpayer when making an exchange. The like-kind property to be acquired or received by the exchangor in the tax-deferred, like-kind exchange transaction. The new property being acquired by the taxpayer when making an exchange. Type of exchange in which the Replacement Property is purchased before the sale of the Relinquished Property. A tax-deferred, like-kind exchange transaction whereby the replacement property is acquired first and the disposition of the relinquished property occurs at a later date. A legal provision to reduce or eliminate liability as long as good faith is demonstrated to comply with laws and regulations. The use of a QI is a safe harbor established by the Treasury Regulations. If the taxpayer meets the requirements of this safe harbor, the IRS will not consider the taxpayer to be in receipt of the funds. The starker exchange is an exchange where the proceeds from the sale of real estate stay, in theory, on the Intermediary’s table until the Seller finds suitable property for the exchange. It is like the exchange is held “in suspension” by the Intermediary. No money or deeds actually change hands between the Buyer and Seller in the initial stage of the starker exchange. Under the “Starker” ruling, you may have theoretically sold your farm, but you cannot be taxed on your “theoretical” profits if you identify a replacement property within 45 days, and if you fail to complete the starker exchange within 180 days. Client, investor, exchangor. The person or entity that is completing the tax-deferred, like-kind exchange transaction, commonly referred to as exchangor. A tenant in common investment is an alternative to sole ownership of real estate where investment in a single commercial property is held by multiple owners, not as limited partners or as an entity, but as individual owners. This form of ownership is known as co-tenancy or tenants in common (TIC). Under this co-ownership structure, you will own an undivided fractional interest in an entire property and share in your portion of the net income, tax shelters, and growth. Further, you will receive a separate deed and title insurance for your percentage interest in the property and have the same rights as a single owner. A fractional ownership interest in a piece of property, rather than owning the entire piece of property. A separate, undivided fractional interest in property. A tenants-in-common interest is made up of two or more individuals, who have equal rights of possession. Co-tenants interests may be equal or unequal and may be created at different times and through the use of different conveyances. Each co-tenant has the right to dispose of or encumber his or her interest without the agreement of the other co-tenants. He or she cannot, however, encumber the entire property without the consent of all of the co-tenants. In an IRC Section 1031 Exchange, an exchangor may acquire a tenancy-in-common interest with one or more other investors, as his or her like-kind replacement property. For purposes of IRC Section 1031 Exchanges, a co-tenancy must only engage in investment activities, including supporting services that would typically accompany the investment. Co-tenants that are engaging in separate business activities are treated as partnerships by the I.R.S. The entity that owns/holds title to property. In an IRC Section 1031 Exchange, the titleholder of the relinquished property must generally be the same as the titleholder of the replacement property. If a taxpayer dies prior to the acquisition of the replacement property, his or her estate may complete the exchange. When the acquisition and disposition entities bear the same taxpayer identification numbers, such as disregarded entities (single-member LLCs and Revocable Living Trusts), the exchange usually qualifies.